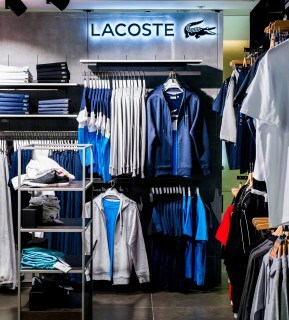 Lacoste is one of the many brands we have worked with to create a shop-in-shop environment within JD stores. 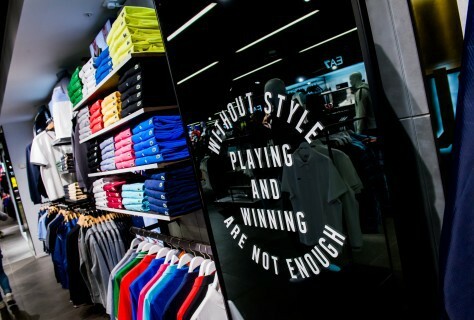 We were asked to design a space that showcased their men's wear in the best possible way. Making sure we create a space that stands out, we chose to give the area a cold feel which contrasted with the areas adjacent as they were dark in comparison. This was achieved by the colours and textures we used while making sure that it enhanced the products. 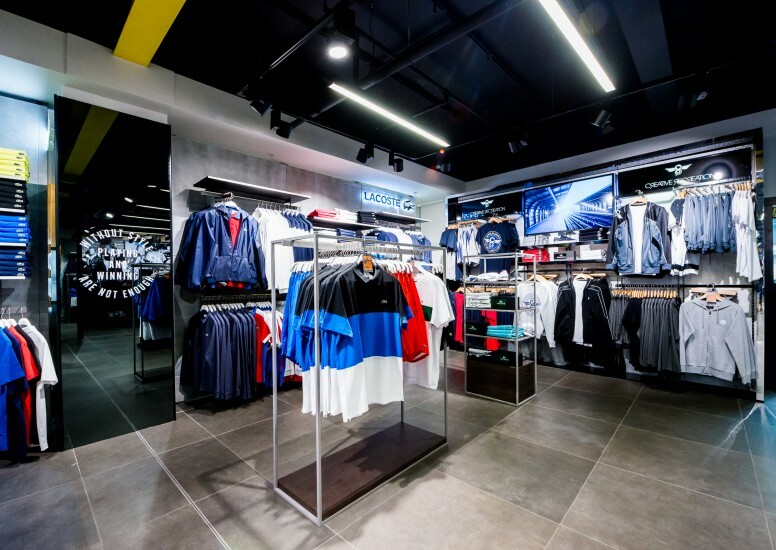 We used clean lines throughout and incorporated simple floor fixtures that lead the product throughout the space. Strong brand identity is key with Shop-in-Shops so we used illuminated signage that made the logo stand out from the concrete look wall.